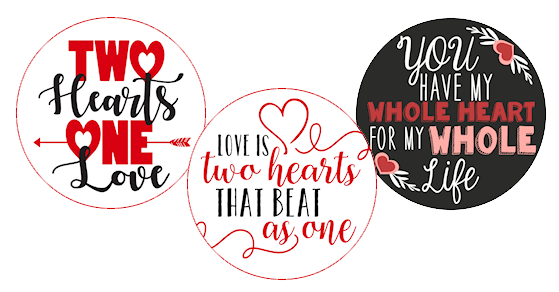 Have you been searching for those unique valentines crafts ideas? Well, here’s one we bet you’ve never seen before! That’s bold statement to make now a days! 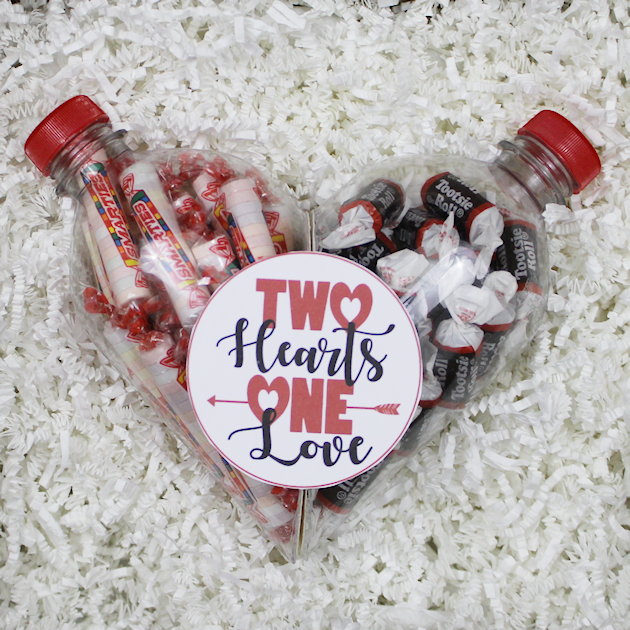 It’s two halves of one heart made from plastic soda bottles and it’s the perfect gift for a couple. Then we thought, what more perfect couple to give this too than good old mom and dad. I mean it’s their two loves that make you whole… or is it their two halves of love that made you a whole… well, you know what we mean. In any case they certainly deserve something special on this day so we think they are perfect candidates for a set of these. You can put something dad likes in one side and something mom likes in the other, add one of our free printable tags, and let them know just how glad you are that they both came together. 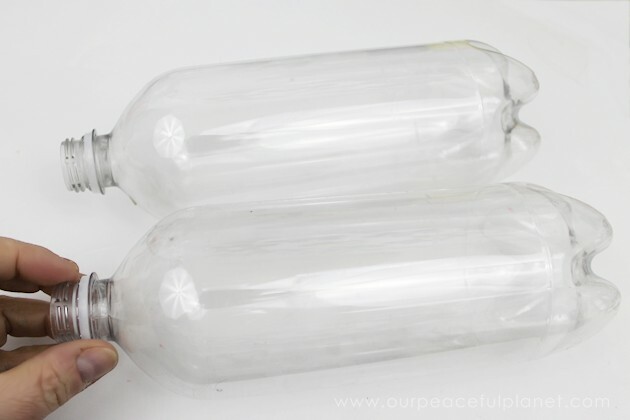 Just like these soda bottles did! #lame But the gift works for any couple or for that special person of your own. 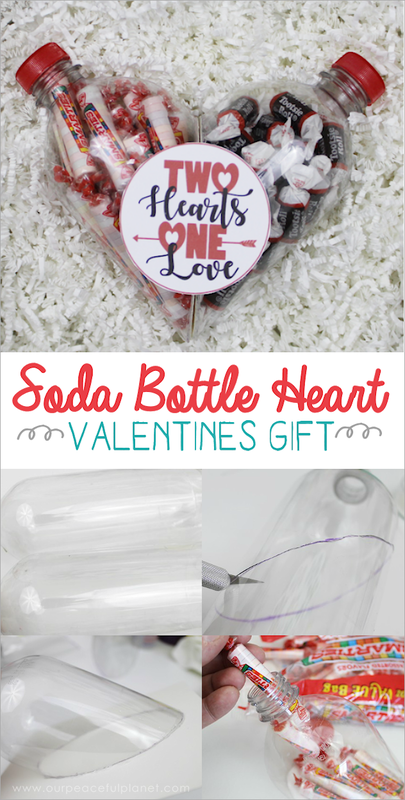 And if you like this you just gotta check out our Pretzel Arrows Valentine Gift Idea which is placed inside our Clear DIY Pillow Box made from , you guessed it… a soda bottle! GOOP Glue We tested hot glue but it just didn’t work well. You need a thick, clear glue of choice. GOOP worked great. You’ll need two 32 oz bottles. 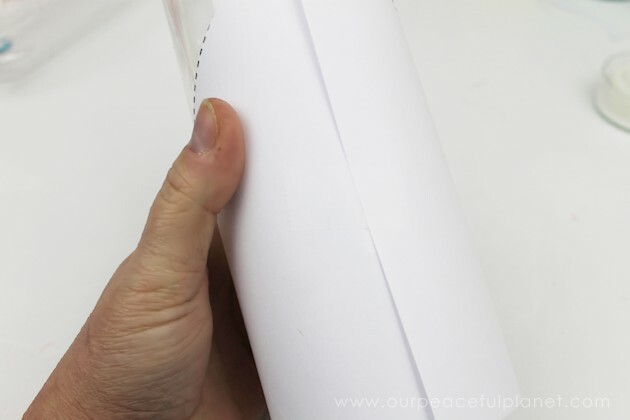 Print out the download template and cut off the top section. 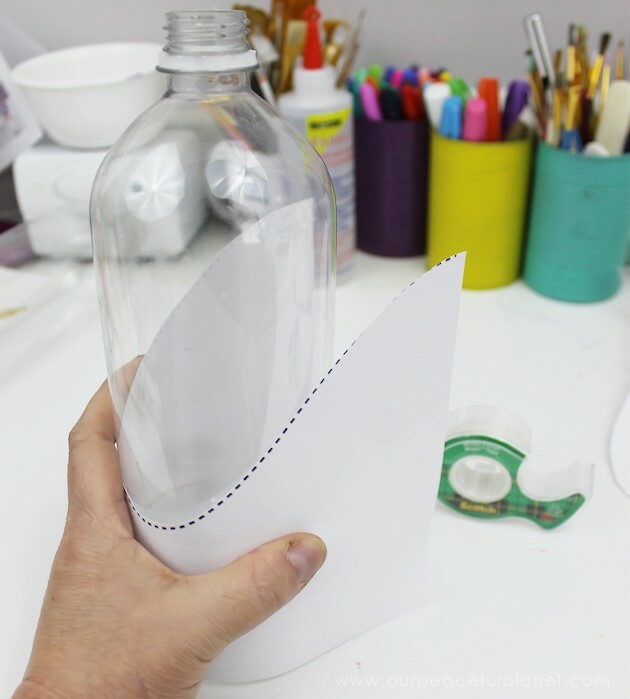 Wrap the template around your bottle with the base touching the table. 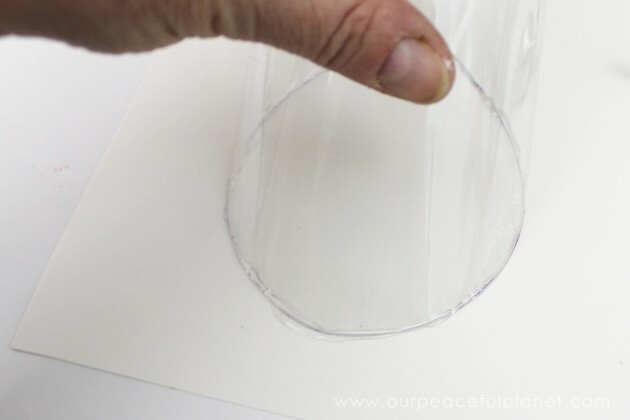 Using a wipe off marker trace around the top curved part. 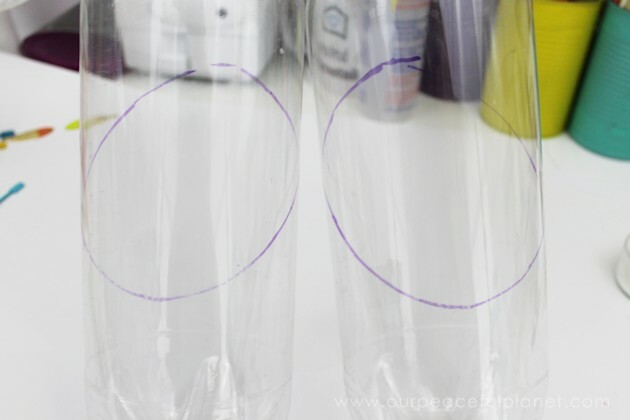 The two bottles, marked and ready for cutting. 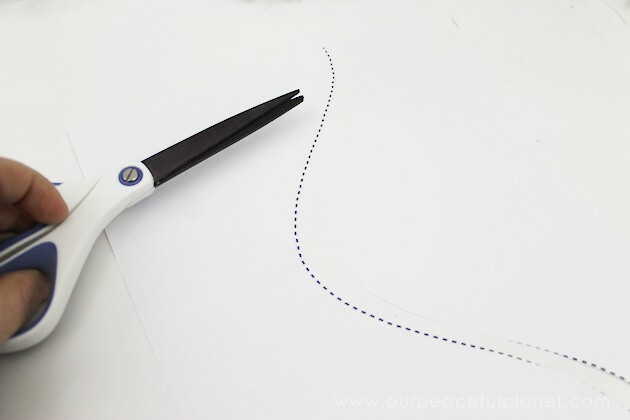 Carefully cut as straight as possible along the lines you made. 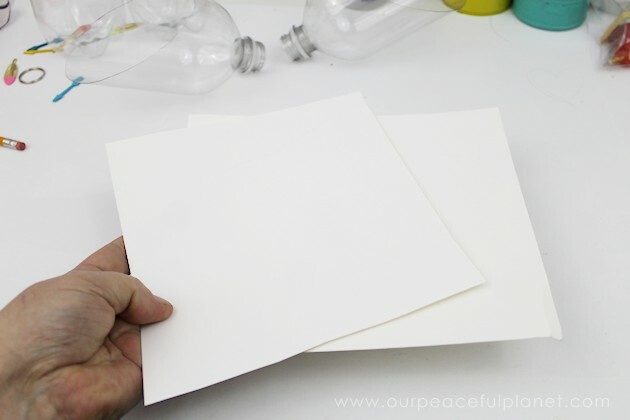 Get two pieces of sturdy white poster board, large enough to set each bottle base onto. You’ll need some thick glue. 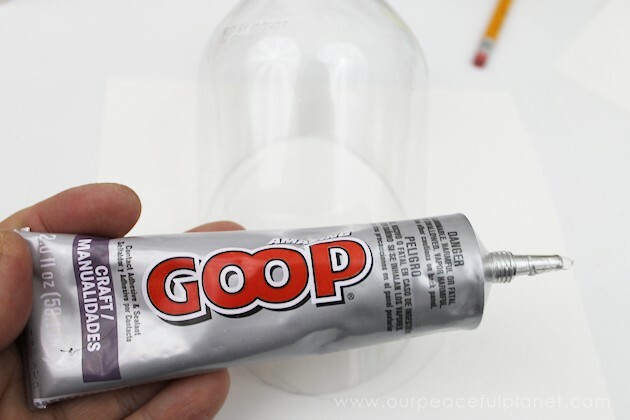 Hot glue was tested and didn’t work well for us so we used GOOP. 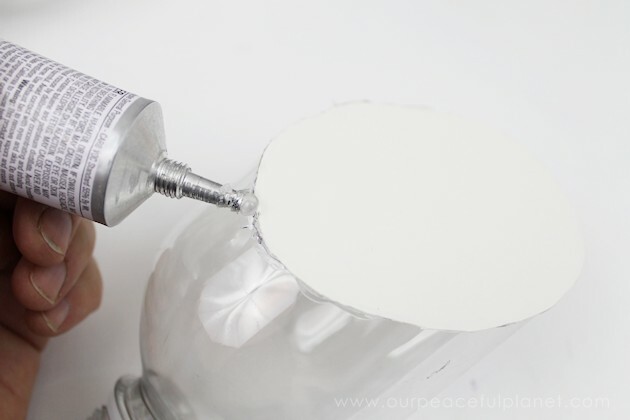 Place a line of glue on the cut rim of your bottle. 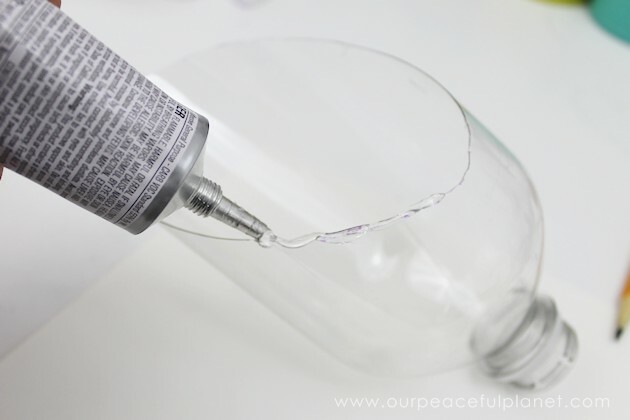 Very carefully, and without bending the bottle, place it down on the poster board. 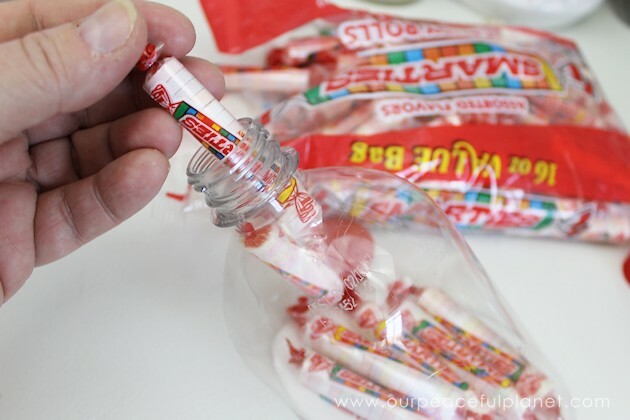 Assuming you cut the bottle straight it should touch all the way around. It will need to sit this way until it dries. NOTE: Every so often I would go in and lightly press down on the bottle to make sure it was firmly adhering to the poster board. 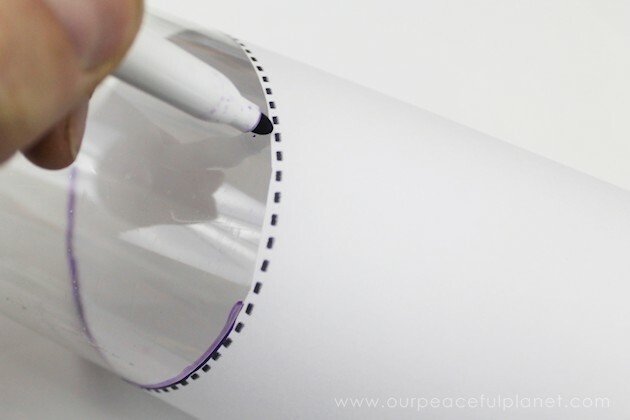 After it dries you will cut the poster board off around the edge of the bottle. 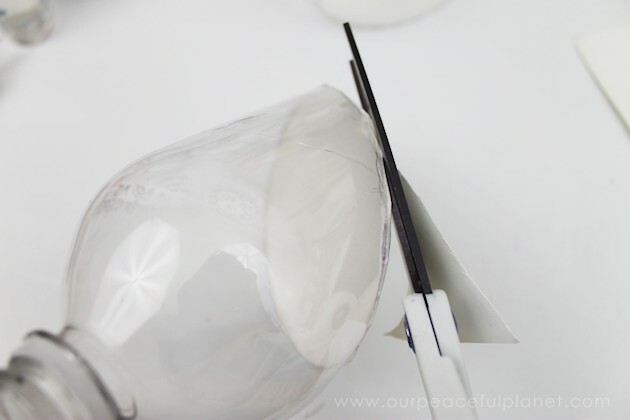 You will also be cutting off any excess glue that may have spread out too far. 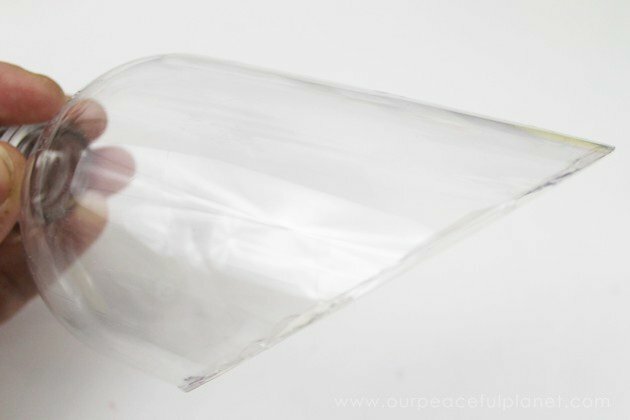 You will see glue around the edges which is fine. 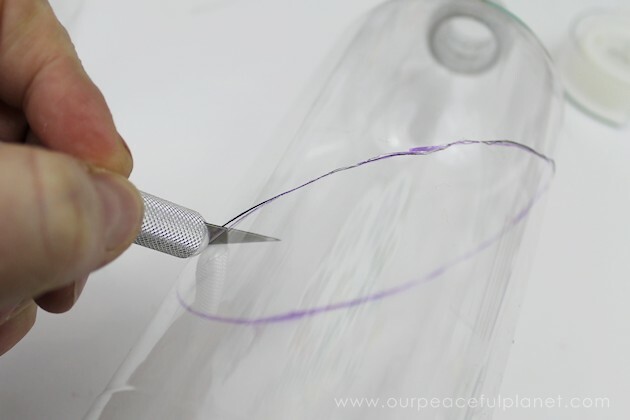 If there happens to be any gaps because the bottle was not cut straight you can fill them in with a little extra glue if you desire. 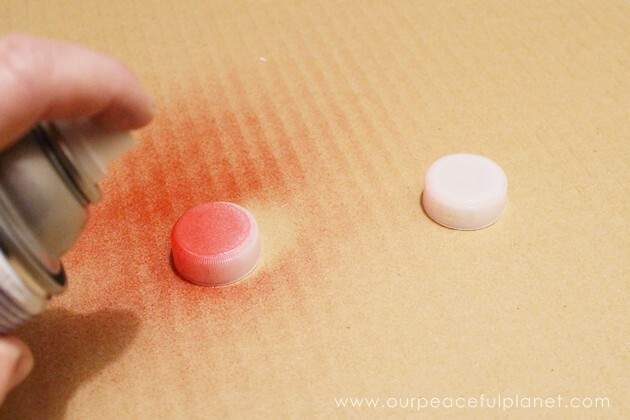 Paint the bottle lids red. 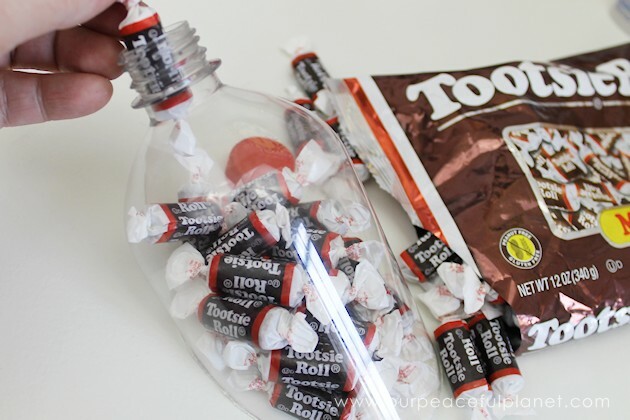 Fill each side with any candy that will fit inside the bottle. You can use each person’s favorite if you know what it is. M&M’s are also a great choice!